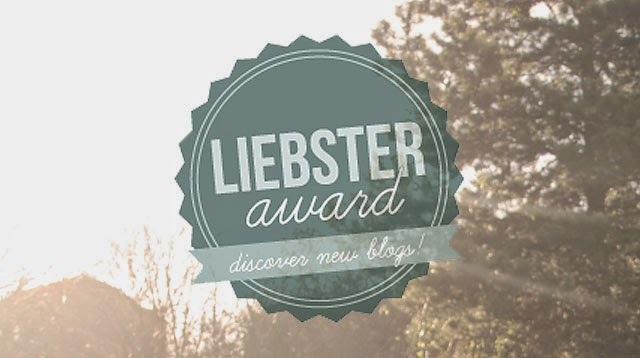 The Liebster Award is given to bloggers with less than 200 followers. If you accept your award, you have to answer 11 questions written by the person that nominated you. Next up, choose 11 blogs that you think deserve the award, write 11 questions for them to answer and leave them a little comment to let them know you've nominated them. It's a really nice way to come across new blogs and give people a little bit of recognition. I've been reading blogs for about 4 or 5 years now, so I decided it was about time I started writing my own blog again (I first started this blog back in 2010 but I abandoned ship when I moved away to University). I'm just finishing up an English Literature degree so I love writing and creating content. 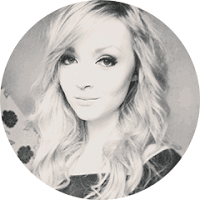 I think the blogging community is great, so it's really exciting to be a part of it. 2. If you could only use ONE brand of make-up for the rest of your life, what would it be and why? Eek this is a tough one! Probably MAC - they're such a versatile brand and their foundations come in light enough shades for my super pale skin. 3. Who is your role model in life and why? I don't really have a specific role model! My parents have always been hard-working and supportive of my brother and I, so I guess I look up to them quite a lot. Aside from my childhood dream of being a fairy princess, I'd love to work in social media, PR or blogger outreach for a fashion company. 5. If you could move anywhere in the world where would it be and why? I'd love to move to Canada for a little while, I've been lucky enough to visit Quebec, Montreal, Toronto and Whistler whilst on my travels and it's such a beautiful country. Plus, Tim Horton's is great. 6. What is the most recent beauty product you have bought, and do you like it? I think it was the Lily Lolo Flawless Matte Translucent Finishing Powder. It's a lovely product - it keeps my makeup in place without looking chalky and it's translucent so I don't have to worry about finding a shade pale enough for my skin tone. 7. What is your favourite clothes shop, which you always go to? I don't really have a favourite as it depends what I'm looking to buy and I'm a bit of an online shopping addict, but if I'm out on the high street I'll normally start with Topshop or Zara. 8. If you could describe yourself in one word what would it be? 9. What is your guilty pleasure....be honest! I'm currently working my way through my Sabrina the Teenage Witch boxset and I'm not at all sorry about it. A talking cat and some amazing 90s fashion inspo - what more could you need!? 10. What do you want to achieve by the end of the year? Graduate from uni, get a job, rent a cute little flat somewhere and I really want to start learning French! 11. Have you got a hidden talent? I've been doing ballet (and various other dance disciplines) for about 19 years and I'm pretty musical - I play the piano, the guitar and the bass and I've gigged with a few different bands over the years. 2. If you could invite absolutely anyone to a dinner party who would you invite and why? 3. If you could time travel, which era would you go to? 4. You only have 2 minutes to get ready - do you focus on hair, makeup or putting an outfit together? 6. If you had to eat the same meal for the rest of your life, what meal would you choose? 7. If you could relive one day from the past, which day would you pick? 9. If you were a cocktail, what cocktail would you be? 10. What is your favourite item of clothing and why? 11. What's the best fashion/beauty tip you've ever heard? Thanks again to Chloe for my nomination!